The networks of Turner Sports have NRG Stadium in Houston, Texas covered with three unique setups for this years NCAA Final Four coverage. 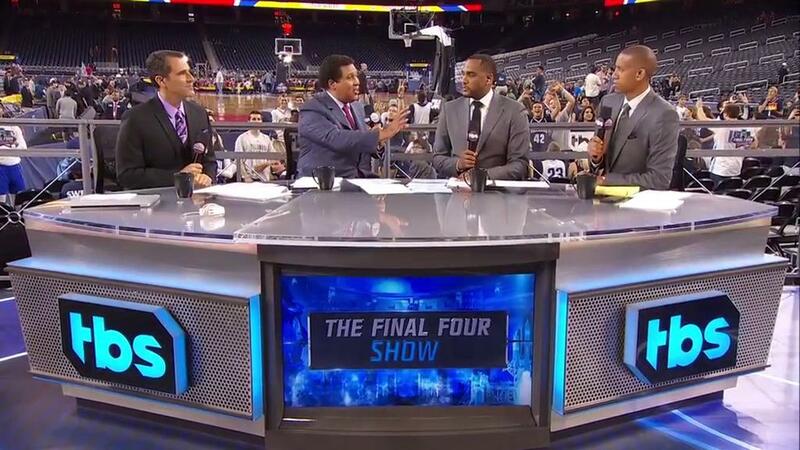 This years March Madness marks a historic change for the annual basketball package, as coverage shifts to cable, leaving long-time partner CBS Sports for the final rounds. 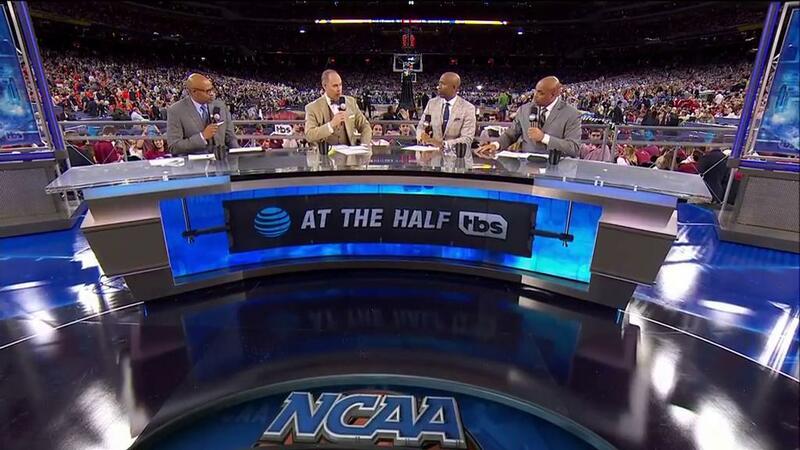 TNT and TBS pick up the coverage, bringing their flair for production to the game with augmented reality graphics and ample talent. 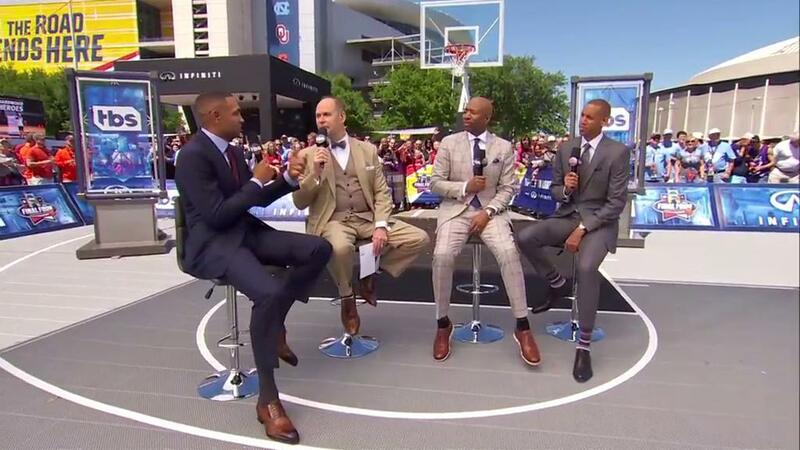 Outside the stadium, Turner has setup a small monochromatic set with tall chairs for its talent surrounded by fans. The area includes a faux basketball court and a few plexi towers with TBS branding. Inside, two desks are present (one at each end of the basketball court near the teams student sections) with 17 cameras to capture every angle of the pre- and post-game coverage. 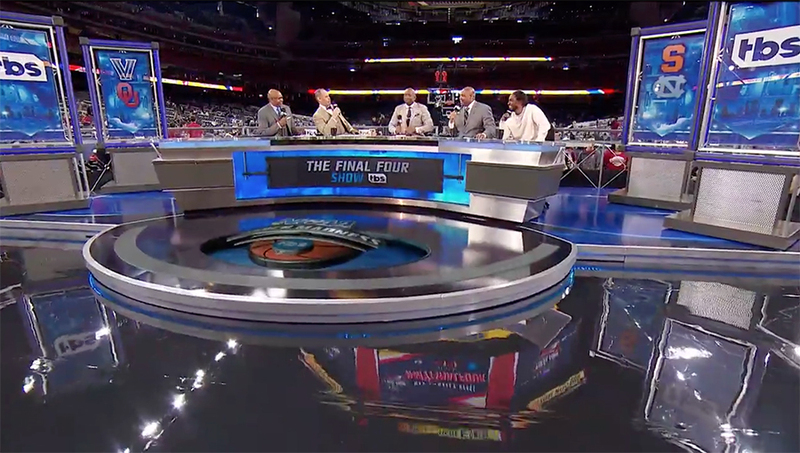 Turner’s main desk mimics the design of its new Atlanta March Madness studio, with a curved LED on the front to showcase branding and sponsors. The desk is flanked by 2 panels on each side with team and network branding inserted. 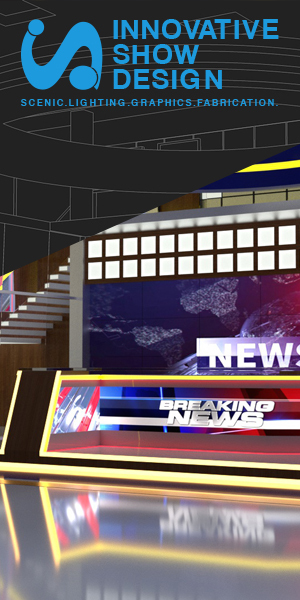 Large floor graphics help set the scene, with augmented reality graphics inserted into the center. The secondary set uses a smaller silver desk with a center monitor and two TBS logo cutouts. Blue backlit perforated metal helps give the desk texture, with some floor graphics also present. Sports Video Group notes the various broadcasts from Houston required 13 mobile production units from F&F Productions, NEP Broadcasting and Bexel.